The Netherlands is a beautiful country with a lot of must-see places, such modern or historic cities and various cool attractions. And really, the Netherlands has a lot more to offer than only the beautiful capital city Amsterdam. While Amsterdam is certainly a must-visit during your time in the Netherlands, there are other cool day trips in the Netherlands that should be included in your itinerary. 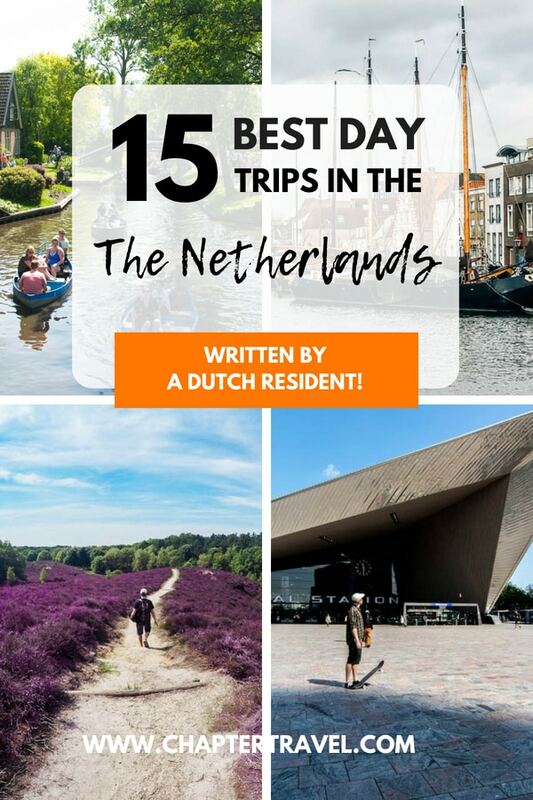 As I’m a Dutchie myself, born and raised in Rotterdam, I decided to dedicate an article to 15 cool day trips in the Netherlands. And luckily, the Netherlands is a tiny country, meaning it’s easy to visit any place in a day. In just a few hours you can drive from one side to the other side of the country! Plus, there is a good public transport system here: if you hop on the train you can basically see Holland in one day. Even though I’m from the Netherlands myself, I haven’t travelled around a lot in this small country. Ever since we came back from our big trip through Australia and Asia, I’ve noticed that I appreciate my own country more and more. That’s why I’ve decided to explore more of the Netherlands myself. To inspire others to do the same, I asked other travel bloggers about the best day trips in the Netherlands. Below we share multiple day trips in the Netherlands and most of these day trips can easily be made from Amsterdam or other big cities in the Netherlands! Be sure to check out the other blogs in this article, as most of them have more content about the Netherlands. Get ready for 15 cool day trips in the Netherlands, including some cool day trips from Amsterdam! Plus, we have some bonus day trips at the end of the article. It’s very likely that you’ll visit Amsterdam during a trip in The Netherlands. It’s not a surprise that Amsterdam attracts over 6 million tourists a year, because it’s a beautiful, unique and cool city. There are really a lot of things you can do during a day trip in Amsterdam, such as sipping coffee at one of the hip cafés, shopping, or enjoying art at one of the many museums. 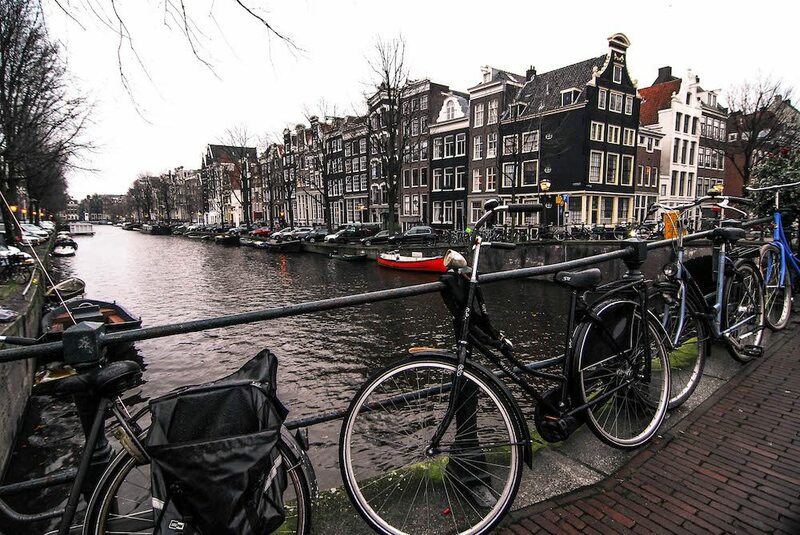 One of the best things to do is of course is exploring the city along the canals of Amsterdam. Amsterdam is also known as “Venice of the North” because of the many canals, the total amount is 165 canals. Combined the length of the canals is 100 kilometer! Have you ever wondered why Amsterdam has so many canals? Well, it’s because before any of the canals or houses were built in Amsterdam, it was basically a swamp. The locals drained one section at a time, creating little islands and they left the canals as a way to transport and manage the waters! For more interesting facts about Amsterdam, be sure to check out Amsterdam FAQ. Tip: If you’re going to Amsterdam, it might be an idea to use the I Amsterdam City Card, especially if you’re planning on doing a day trip from Amsterdam. A lot of cool things are included, such as museums and different day trips in the Netherlands, such as to the Zaanse Schans or Volendam. By Lisanne from Chapter Travel, here you can find information about the I Amsterdam City Card! Zaanse Schans is the perfect day trip from Amsterdam in the Netherlands. Located in Zaandijk, Zaandam and less than 20 minutes from the city is this amazing historical open-air museum. As soon as you set foot on this wonderfully preserved historical village you are introduced to scenic post card worthy views of a traditional Netherlands. The old-fashioned wooden windmills at Zaanse Schans are a particularly wonderful sight to see. Many of the windmills are in perfect working order and open for you to explore. Climb up to the top of the windmills to get awesome views of the Dutch landscape. In addition to the windmills, you can also clomp around in some klompen, the traditional wooden shoes of the Dutch. Watch how the shoes are made and try on a giant pair. The Wooden Shoe Museum at Zaanse Schans is not to be missed and a great way to spend part of the day. Zaanse Schans also presents great opportunities for some delicious food. If you’re a cheese lover then you’re in luck. The Cheese Farm De Catherinahoeve does free cheese making demonstrations and there is an abundance of free samples to indulge in as well. Also, be sure to treat yourself to a giant sweet or savoury pancake. Spanning nearly 30cm in diameter it’s a flavoursome experience you won’t want to miss out on. On top of all of the great things to see and do here, Zaanse Schans is not as well-known as Kinderdijk, which means it is pleasantly crowd free during most times of the year. By Ryan from The Opposite Travellers. It’s possible to take the 391 bus from Amsterdam Central Station to Zaanse Schans yourself. But it’s also possible to go for a organised half-day or day trip tour from Amsterdam. For instance, check out GetYourGuide for this Half-Day Tour of Zaanse Schans Windmills from Amsterdam. Here you learn about the making of cheese, see the interior of the windmill and you can explore the different buildings. There are also other cool tours to the Zaanse Schans to choose from here. And like we previously said, it might be an idea to get an I Amsterdam City Card and then a day trip from Amsterdam to the Zaanse Schans is included. Castle de Haar is not just the biggest castle in the Netherlands, it’s also arguably the prettiest. The castle is surrounded by lavish castle gardens, that allow for a leisurely stroll. Go visit the deers, see the cows, or feed the ducks in the pond. The medieval castle was most likely built in the 13th or 14th century, but no one is exactly sure. The building was expanded and abandoned over the centuries until it was acquired by a lord and his wife who belonged to the Rothschild family. With her fortune they restored the castle to its former grandeur. The castle is in amazingly good shape, from the gardens, to the exterior to the interior: everything looks the way it would have looked in the Middle Ages. My favourite part of the castle was by far visiting the ladies chamber, with its sunken bath tub and its blush pink tones. Interior goals, for sure! It’s best to stay in the city of Utrecht and rent a car. It’s about a 20 or 30 minute drive from here. If you aren’t able to rent a car, you can also take the train and bus! By Milou from Explorista.net, find more about Castle the Haar on her blog! More and more tourists realise that Rotterdam is a very cool city in the Netherlands and that it shouldn’t be skipped during a trip in Holland. Rotterdam can definitely be visited as a day trip in the Netherlands, and there are plenty of cool things you can do. The city is especially known for it’s unique, modern architecture. Rotterdam is also getting more and more cool hotspots every day, such as Amada Coffee where you can get your selfie on a cappucino, or a selfiecino. The Glambar where you can get your make-up and blow dry while sipping some bubbles or RoseRouge Hotel Bar which is most likely the prettiest bar you’ll ever see. Besides the cool architecture and unique hotspots in Rotterdam, there are also a lot of amazing museums and street art to explore. In short, a trip to the Netherlands should definitely include a visit to Rotterdam. Tip: Be sure to check out the architecture route on Weekends in Rotterdam to explore all the unique architecture that Rotterdam has to offer. Or check out one of the other cool routes in Rotterdam that will guarantee a cool day trip in Rotterdam! If you’re looking for a cool tour in Rotterdam, be sure to check out GetYourGuide. For instance, you can combine Rotterdam, Delft and The Hague and get a free cruise! By Lisanne from Chapter Travel and Weekends in Rotterdam. 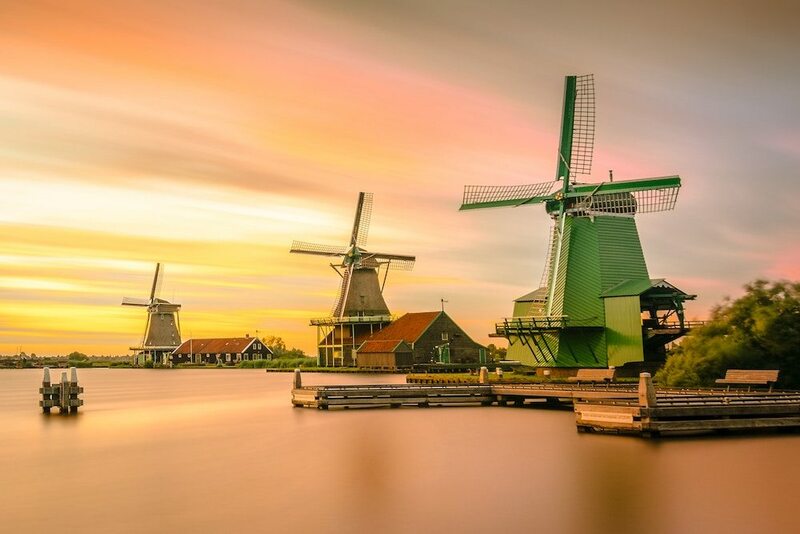 The Netherlands is famous for its windmills. With so much of the country situated below sea level and comprised of reclaimed land, windmills were essential in previous centuries to keep everyone’s feet dry, although modern pumping stations have replaced most. The best way to get your fill of windmills (and plenty of gorgeous photos) is to take a day trip to Kinderdijk, just outside of Rotterdam. Here a group of 19 windmills located close together have been preserved, and even UNESCO World Heritage listed for their importance. It’s actually free to visit Kinderdijk, but it’s worthwhile to pay a little extra to visit the museums situated inside two of the windmills. It’s amazing to see how whole families, some with a dozen children or more, managed to live inside these Dutch windmills, especially when you hear the racket created when the sails start to spin! While most visitors choose to walk around the site (or take a bike ride), it’s also possible to take a boat trip at Kinderdijk, either stopping off along the way or making a single loop. A couple of cafés are located on site, serving drinks and simple toasties. You can also head to some restaurants located near the entrance for a more substantial lunch. 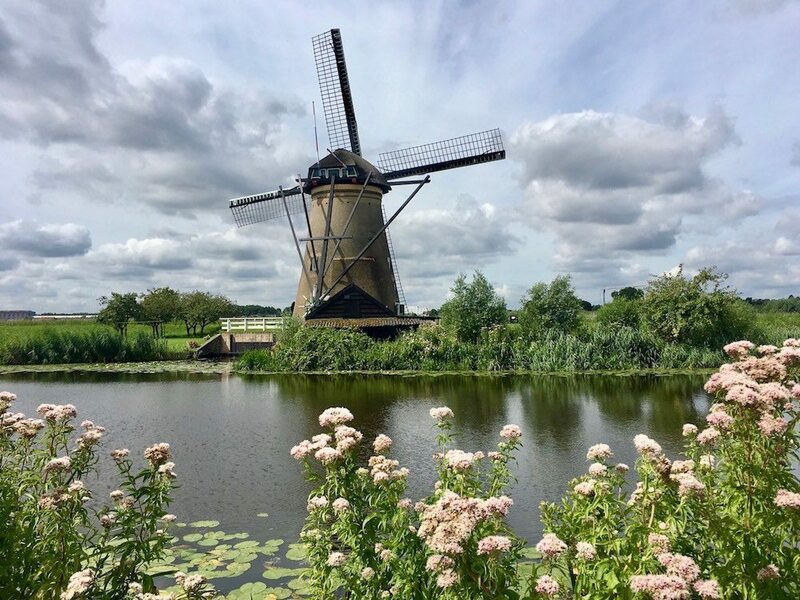 By Shandos from Travel Nuity, check out her blog about visiting Kinderdijk with a dog! It’s possible to drive to Kinderdijk and park at the entrance. However, parking isn’t free (cost is about five euros) and it’s rather small so it quickly fills up. Kinderdijk can be visited as a day trip from Amsterdam or from Rotterdam. 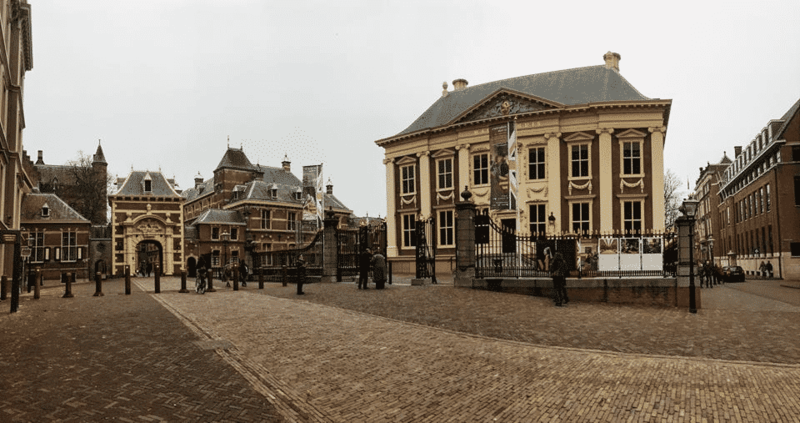 Amsterdam offers day trips that also include a visit to Mauritshuis in The Hague. Or, take the waterbus from Erasmusbrug on the Rotterdam waterfront. The scenic trip is a great part of this fun day out. Just check the timetable in advance, as direct ferries only run every second hour. Utrecht is a beautiful city to visit on a day trip. The train ride from Amsterdam to Utrecht is only about 45 minutes or an hour. When you get to Utrecht, you’ll find a city that has similar characteristics to Amsterdam, but is different too. Utrecht has a similar canal system to Amsterdam, but on a smaller scale. Walking around the canals and admiring their beauty, and the lovely buildings all around you is a must! A sight that you need to see in Utrecht is the cathedral. Work started on this towering building in 1253 and continued well into the 16th century. In 1674 a storm resulted in the collapse of the nave, which left the tower isolated from the remainder of the building. It’s never been rebuilt. It makes it a unique building, and a fascinating one to walk around. Utrecht is a university town and there are a number of beautiful buildings connected to the university you can visit, such as the University museum. You can also visit the university botanic gardens. They were created in 1639, and feature plants from across the globe among beautiful gardens. Utrecht may be a lesser known city in the Netherlands, but it’s one well worth exploring! By Tom from The Travelling Tom. One hour southwest of Amsterdam is a park unlike any other I’ve ever visited. Once you arrive in the Hoge Veluwe National Park you can choose from various bikes to use all day long for no additional cost. Just be sure to park it in one of the many bike parking lots along the way. The national park is filled with bike paths through stunning fields, around a lake, and through a pine forest. The Hoge Veluwe hosts a couple of museums, and my favorite is the Kröller Müller which exhibits many Dutch artists including Vincent Van Gogh. There is also a fantastic natural world museum for children. Furthermore, there is a visitor center, a couple of restaurants and cafés, a huge playground and plenty of things to do for a full day outside. On one of the trails, you pass by the beautiful Jachthuis Sint Hubertus, a piece of artwork itself. You can go inside and get a tour for about €4,- or just grab a cup of tea or coffee at their tea house and enjoy the stunning view. 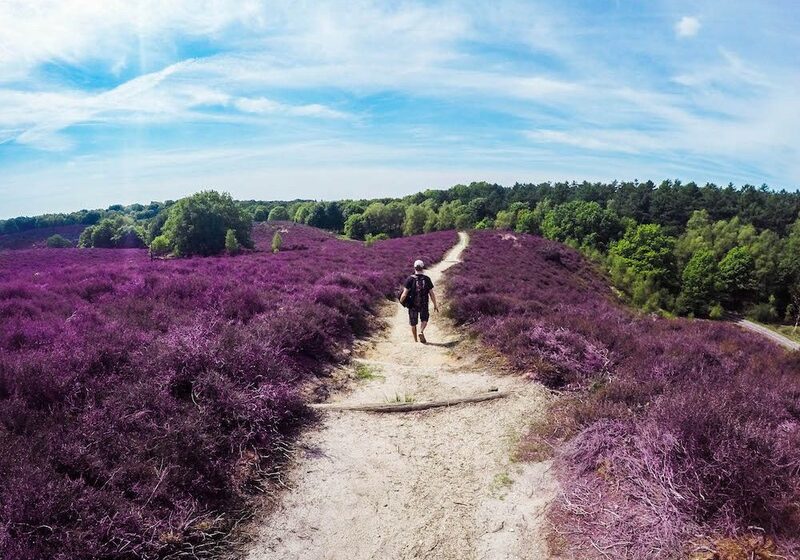 The Hoge Veluwe will let you leave the city behind, get into nature, breathe the fresh air, and see a different part of the Netherlands. Tip: close to the Hoge Veluwe, you’ll also find The Veluwezoom, which can be seen in the featured photo of this article. During the second week of August the heather is in bloom, which creates the beautiful purple colour. By Corinne from Reflections en Route, where you can find more about the Hoge Veluwe. If you are travelling by car, we recommend to drive to the Hoge Veluwe and explore by yourself. If not, we recommend to go on a tour. For instance, this GetYourGuide small group tour to Kröller Müller and the Hoge Veluwe or full day private tour to Kröller Müller and Giethoorn! The Hague is where the government of the Netherland is based and it’s truly one of the gems of the Netherlands. With some of the best art museums in the Netherlands and the beach only a short bike ride away, you can enjoy the best of both worlds in The Hague. At the Mauritshuis, you’ll find the Girl with the Pearl Earring, one of the most famous Dutch paintings. Similarly, you’ll find the royal palace surrounded by some great shops. 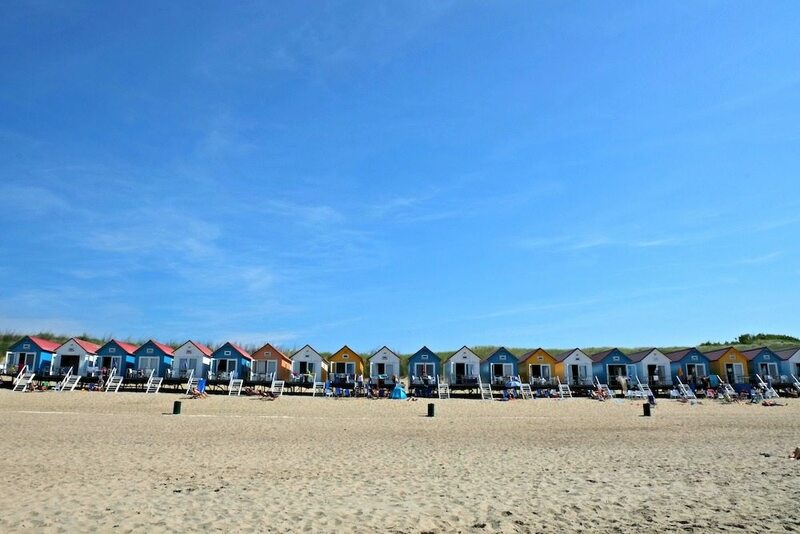 The Hague’s most famous attraction is Scheveningen, the beachside resorts only a twenty minute cycle from the city centre where you can enjoy adventure activities as well as relaxing seaside activities. Futhermore, The Hague offers unparalleled international dining from all over the world due to its many embassies. 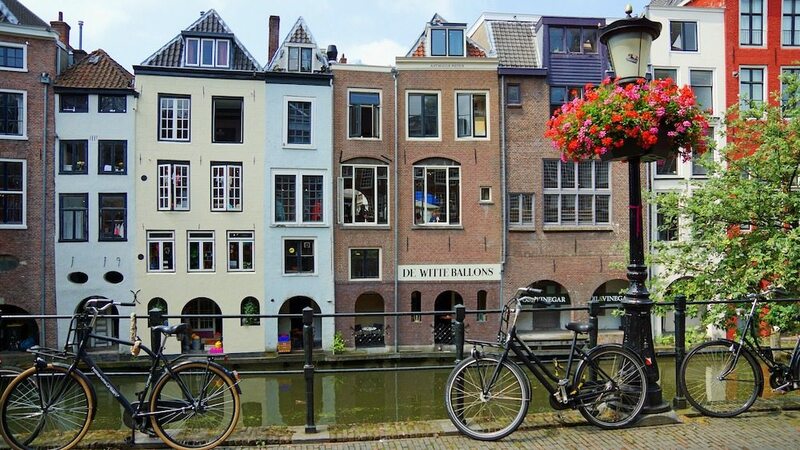 You’re more likely to hear more languages on the street than you would even hear in Amsterdam, so international visitors will find the calmness and diverse atmosphere very appealing in addition to the first class attractions. By Karen from Wanderlustingk, check out her blog for lots of articles about the Netherlands. Who would ever think you can get a surfing lesson in the Netherlands? Well, it’s possible at Scheveningen, where you can get a two hour surf lesson for beginners! Check out price and availability here. Volendam is a typical Dutch destination. It’s a bit of a touristy place and every Dutch person must have been in Volendam once. Apart that it’s known for the many Dutch singers that come from this little Dutch town, Volendam is also known for the dike, the most touristic part of this village. The village has all kinds of cute houses and it’s really fun to walk around. You could also pay a visit to the Palingsoundmuseum, where you can learn more about the musical history of Volendam. The absolute highlight is of course a photo in traditional Volendam clothing. Along the dike you can find enough places where you can do this. Often you get the photos digitally, so you can pick the best ones yourself. Furthermore, there are plenty of nice restaurants along the dike. We went for poffertjes (traditional Dutch treat that are basically small pancakes) ourselves and I found it very funny how relieved the seller was that someone finally wanted poffertjes with butter and icing sugar instead of those crazy toppings like chocolate or strawberries. But if you want to eat it with such toppings, it is definitely possible! 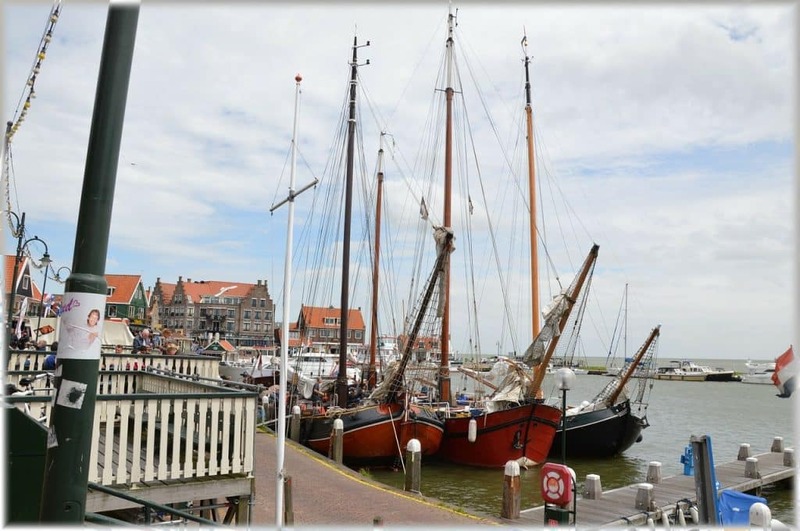 Tip: Do you want to explore more than only Volendam? Then you can also take the ferry to Marken. This is a former fishing village, which is also fun to visit! Check out this tour that includes Volendam and Marken. By Manouk from Groetjes uit Verweggistan, find more about the Netherlands on her blog (only in Dutch). Maastricht is an example of one of the weirdest borders of a country ever. Check it out on a map and you’ll understand! The whole city centre is a protected cityscape and its home to 1677 national heritage sites. The tourist office, as always, is the best place to start. We picked up a cheap city walking tour map which outlined everything we needed to see. Maastricht is well known for its lively squares, incredible architecture and impressive fortifications. It has been part of Belgium and Germany at different times throughout history to name a few, but is now definitely Dutch. 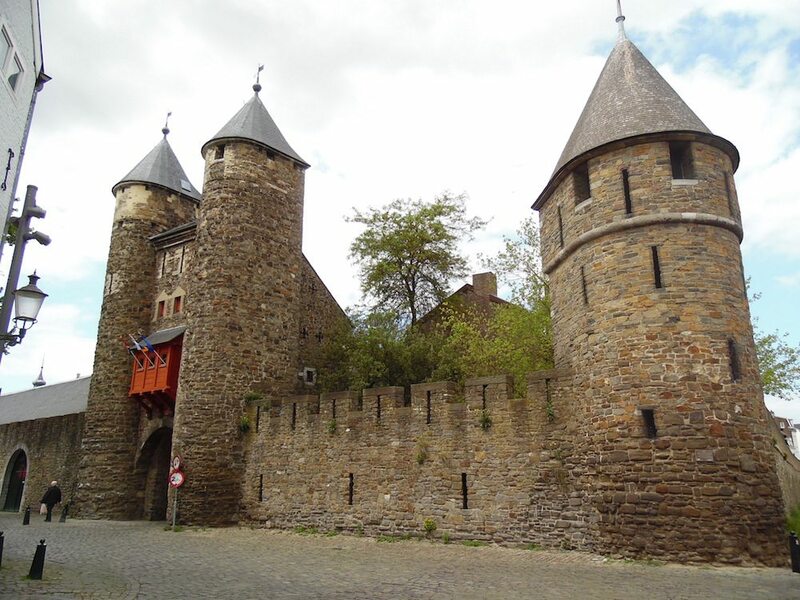 If you want to know more about the fortifications in Maastricht, definitely head into the small museum at Hell’s Gate. Here we had a full history lesson that took about 45 minutes which was seriously interesting, partly because the guys who run it absolutely love their jobs! Make sure you also head out of the city to Mount Saint Peter, an old fortress which boasts an impressive view of the skyline across Maastricht. Even though Maastricht is a bit out of the way from Amsterdam or other big cities in the Netherlands, it’s definitely worth it. You can visit Maastricht by car or train. By Verity from Veritru, read more about Maastricht on her blog! 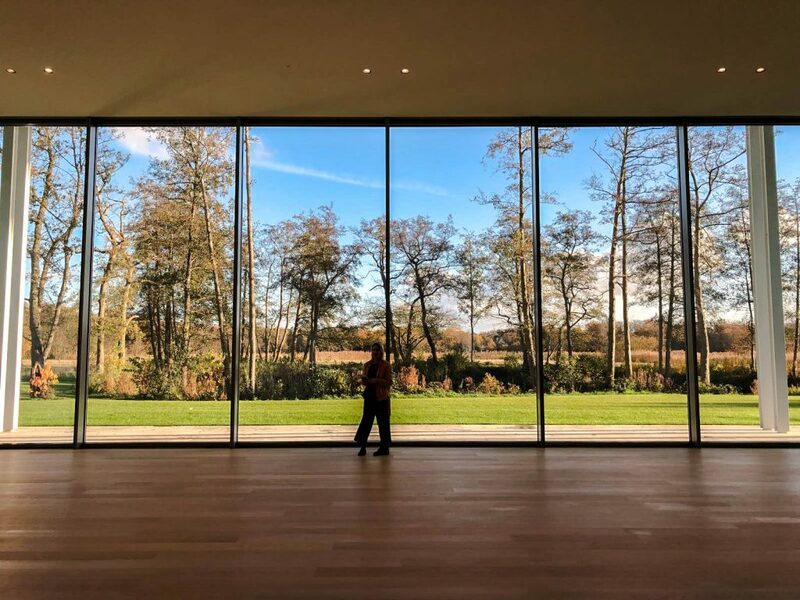 If you’re looking for a unique cultural day trip in the Netherlands, be sure to check out Museum Voorlinden in Wassenaar. This privately funded initiative showcases the personal collection of the Dutch art collector Joop van Caldenborgh. Especially the permanent collection is really cool, such as the Swimming Pool by Leandro Erlich and the Open Ended Sculpture by Richard Serra. Next to the permanent collection, Museum Voorlinden also offers various cool exhibitions. Museum Voorlinden is located in Wassenaar, very close to The Hague. It’s possible to go to the museum by car (parking is free!) or by public transport. Public transport is a bit of a hassle, because you first need to get the train and then take the bus. By Lisanne from Chapter Travel, check out this article to learn more about Museum Voorlinden. The Keukenhof is something that every Dutch person and every tourist should see at least once. Here you see the Netherlands as you know it from the typical pictures: colourful flowers in a typically Dutch landscape. Of course the Keukenhof also has the well-known tulips, but there are also lesser known flowers. Every flower garden is different, so you won’t be able to stop taking photos! Every year there is a different theme in the Keukenhof. For instance, in 2017 the theme was Dutch Design for which they made a special Mondriaan garden. There is a lot more to do in The Keukenhof than just admiring the flowers. Get lost in the maze, visit one of the exhibitions or attend one of the events. Tip: Go early to avoid the crowds (or get a skip the line ticket). The Keukenhof is open every year from the end of March until May. On the third weekend of April it is Flower Parade. The flower wagons ride from Noordwijk to Haarlem on Saturday. By Saskia from Kids Erop uit. There are lots of tours to the Keukenhof. It’s also possible to go to the Keukenhof as a day trip from Amsterdam. 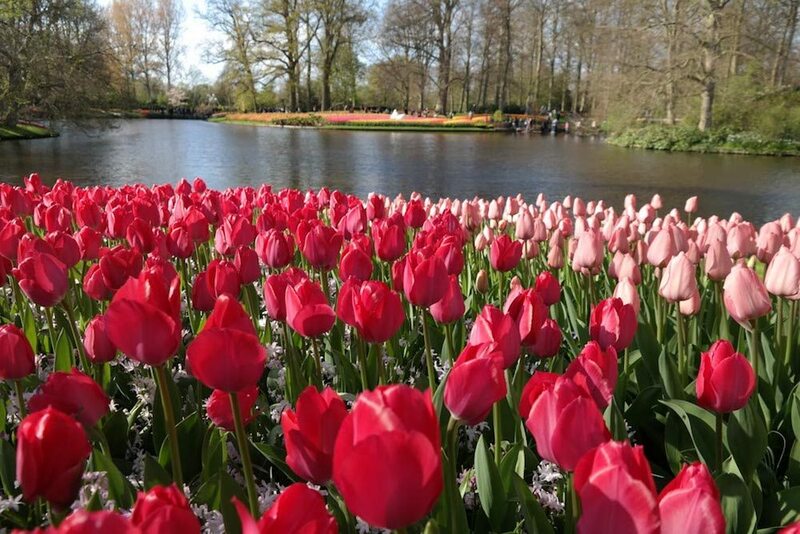 Check out the prices and availability from various tours to the Keukenhof here. The Efteling is a magic theme park, located in the South of the Netherlands. It’s a family filled fun day trip, full of enchanted fairy tales and the Efteling also has many thrilling rides and roller coasters. The theme rides all have a magical reference and encourage you to be amazed with wonders. The park is located on a 494 acres natural land with forests, parks and lakes. Even if you don’t like (thrill) rides or themed attractions, you can still enjoy the carefully laid out park and fairy tale forest. The forest displays 29 fairy tales, either with interaction or as a display of the original story. If fairy tales are too dull for you, you’ll find 6 thrilling roller coasters varying from dark rides, to water rides and the latest addition to the park is a dive coaster, where you’ll plummit into the ground. The Efteling is open year round, so you can also visit this amusement park in the winter. Although some rides may be closed due to weather conditions, the Efteling offers plenty of indoor attractions, camp fires and has a covered ice skating rink to enjoy the winter days at the Efteling. Get your tickets for the Efteling here! 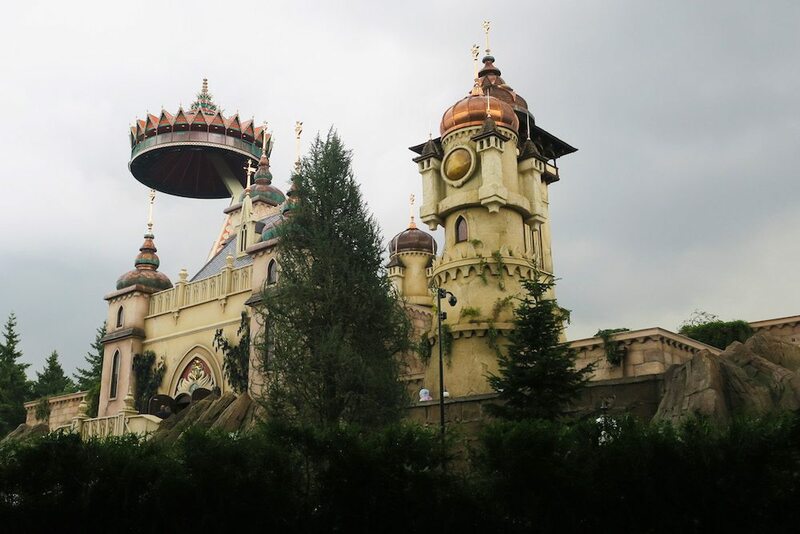 By Naomi from Probe Around the Globe, read her article about the Efteling to learn even more! She has been going to the Efteling for over 29 years now and is a real expert. Located close to Emmeloord in the province of Flevoland is De Orchideeën Hoeve, a very unique attraction! Although it’s relatively unknown it has actually won the award for ‘The Most Fun Outing in Flevoland’ for six years in a row and it’s easy to see why. 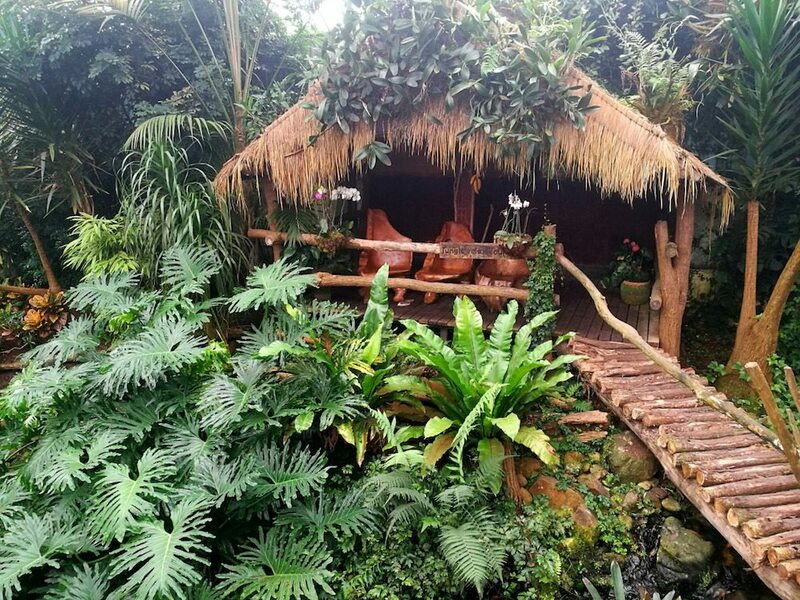 Part indoor garden, part tropical rainforest experience, De Orchideeën Hoeve is a huge indoor garden centre that is simply enchanting to visit. I stumbled upon it by accident and immediately planned my own trip. Not only is it a beautiful place to visit if you like flowers and plants, but it’s also home to lots of turtles, fish, rainbow lorikeets (which you can feed by hand) and even cute tiny monkeys. It houses the largest butterfly house in Europe and has a stunning ‘suspended’ garden café. Here you can have coffee and cake while listening to live piano music and look at hundreds of beautiful hanging baskets full of colourful flowers. There is also a huge jungle-themed play area so it really is a perfect destination for young and old. You can even get married there! Tip: Unfortunately, it’s not well serviced by public transport, so you will need a car to get there. It’s also quite close to Giethoorn, another beautiful Dutch destination, so you could combine the two places for a perfect day-trip! Check out some amazing tours to Giethoorn here. By Kristy from Tassie Devil Abroad, find out more about the Orchideeën Hoeve on her blog! If you need to get away from it all for a day, the beaches of Zeeland are the place to be. Here you can walk for miles along broad sandy shores while the wind wipes your worries away and that salty smell of the sea reminds you of when you used to build sand castles as a kid. You can easily spend a day here, relaxing at the beach and enjoying a picnic for lunch, or you could head into one of Zeeland’s lovely little towns. Another option is to spend part of your day in Zeeland’s capital, Middelburg. Middelburg has a historical town center with small brick houses, a market square and lots of restaurants with outdoor terraces. Shopaholics can find both independent boutiques and big retailers here, but it’s mostly the monuments that draw all attention. Visit the various churches, the synagogue or city hall. Walk toward the ring road to find the historical mills or climb up Lange Jan or “Tall Joe”, the 90.5-meters tall abbey tower that offers great views of the city and its surroundings. Back on lower ground, you can visit the Museum of Zeeland that’s part of the abbey. By Sofie from Wonderful Wanderings, read her article about Zeeland here. If you feel like exploring historical monuments and learning more about Middelburg, check out this walking tour of Middelburg by GetYourGuide whereby you get a personal guide that teaches you about local history and culture. 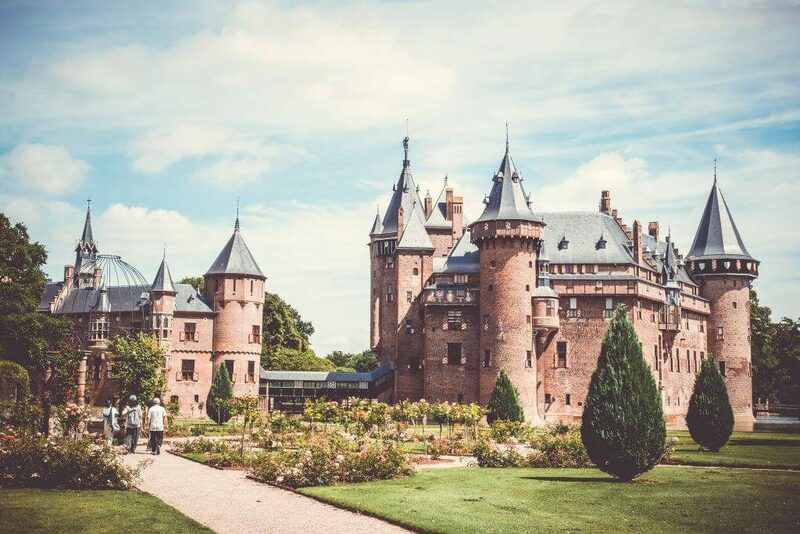 Besides the day trips that were mentioned by various travel bloggers above, there are many more day trips that can be made in the Netherlands. Below we list a couple more that are definitely also worth a visit when you’re looking for a day trip from Amsterdam or any other location in the Netherlands. Below activities all include a tour or tickets, so be sure to check the prices and availability. Giethoorn is a cute Dutch village with lots of canals. There are boats instead of cars, and it’s almost a fairytale village. We already mentioned that Giethoorn can be combined with a visit to te Orchideeën Hoeve in Flevoland. 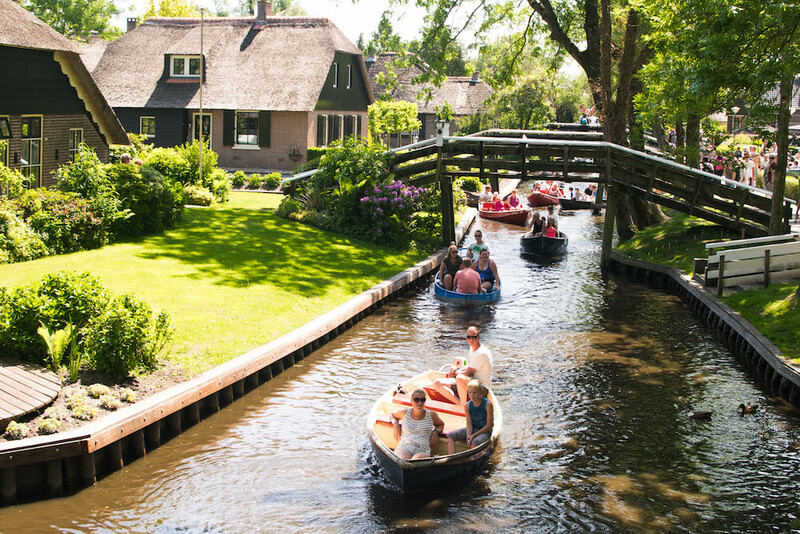 Read more about a day trip to Giethoorn! 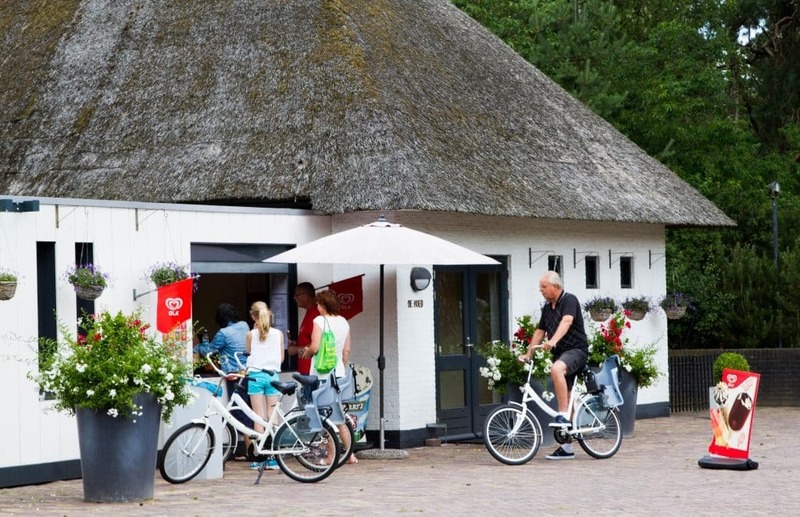 There are a lot of tours to Giethoorn, check out prices and availability here. At the Madurodam theme park you can see all the highlights of The Netherlands in one place, yet in miniature size! It’s a great day trip for kids, but the parents will definitely enjoy it too. Get your tickets to Madurodam here. A visit to the Netherlands should definitely include a visit to a cheese market! For instance, the Alkmaar’s famous cheese market, which is one of the oldest and most traditional cheese markets in the Netherlands. Check out the prices and availability for the tour in Alkmaar here. That were 15 cool day trips in the Netherlands. Hopefully this post shows you that The Netherlands has so much more to offer than only Amsterdam! These cool day trips will surely make your time in the Netherlands memorable. I’m inspired to go on a couple of them myself now, and I can’t wait to share even more of the Netherlands with you guys! I adore The Netherlands! It’s become a second home in the past year! The Hague and Rotterdam are my favourite places. I visited Eindhoven and Den Bosch too but I really want to visit Utrecht and Castle De Haar. Great picks in this post. All of these spots look amazing! I didn’t realize there was such a beautiful castle in the Netherlands! Wow that’s a huge bucket list for a trip to the Netherlands. I’ve only been to Amsterdam before, but would love to see more of the country – especially by bike and along the coast! Bookmarked for the future!! All the sites and their photos you have shared in your blog are make me crazy to visit these places and wanna explore the good things about these places. These places are looks too good and beautiful for day trip in the Netherlands. Soon, I’ll visit these sites in near future. Thanks for sharing such beautiful sites of Netherlands. AHH I am going to the Netherlands in April and I am going to cross a few of these off my list! Hi Liza! Great to hear! I haven’t personally done all of these, that’s why I asked other travel bloggers for their recommendations! But I absolutely loved De Hoge Veluwe! Quite an extraordinary place in the Netherlands. I’ve done most of these but definitely gotta go see that castle! Hi Sarah! Me too! Haven’t been there yet! Thanks Mayuri! Hopefully you find some inspiration here! I would kill for those photos 😛 astonishing! I have the travel bug, and this article makes me want to hop on a plane right now! Next on the list: Netherlands.